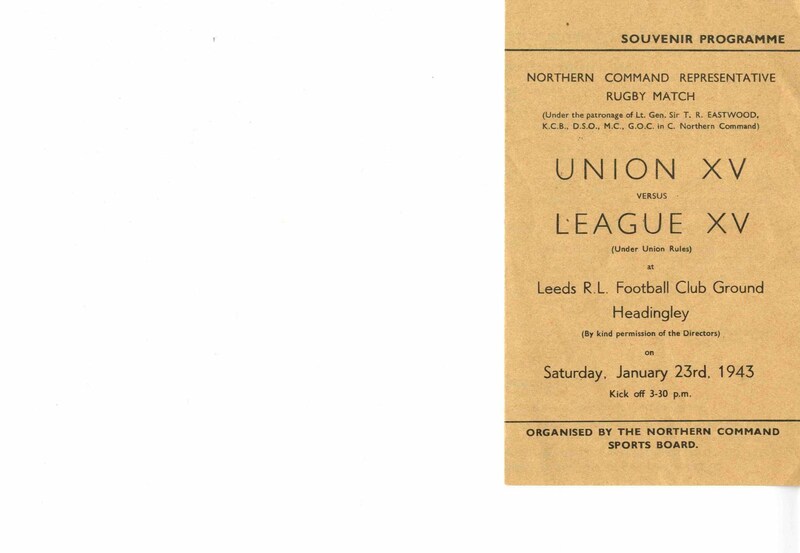 These are the teams for a game that took place on 23rd January1943 at Headingley Stadium. The attendance was 8,000 and despite playing under Rugby Union rules the Rugby League team won the game by 18-11. ﻿The spirit of co-operation had lasted from 1939 until 1946. It wasn't until the 1980s that the barriers between the two codes finally began to be broken down. 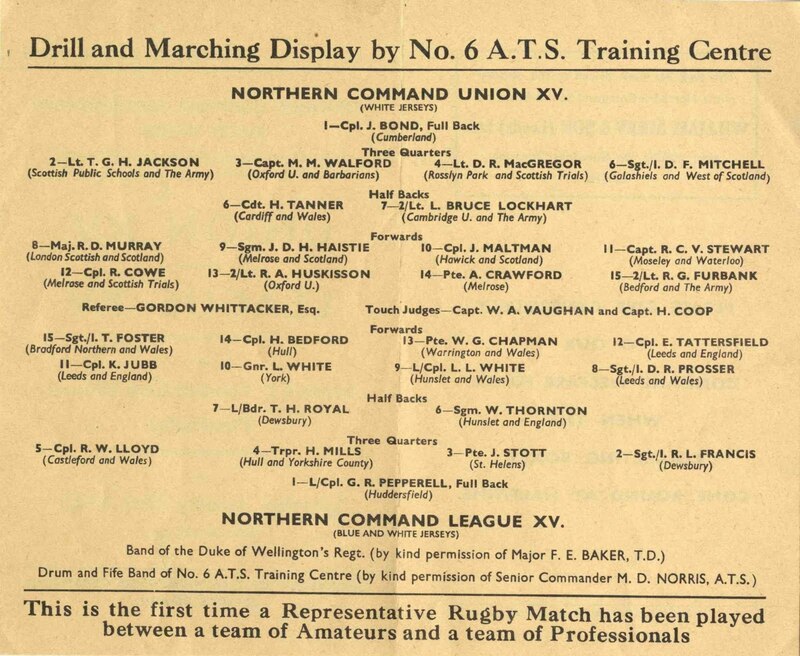 I am grateful to Huddersfield University Archives and Tony Collins for their help with my research into Yorkshire Rugby Union during World War Two. 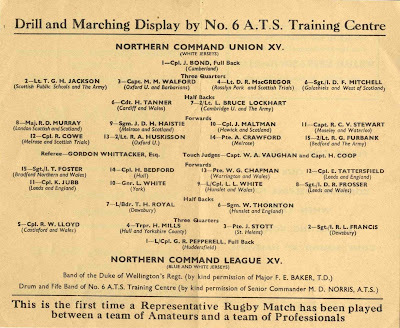 The match programme for the Rugby Union v Rugby League game in 1943 is just one of the many interesting documents in the Rugby League Archives.